One of the most important things about beginning and running a successful website, is the meticulous implementation of actionable search engine optimization (SEO) strategies. However, thanks to Google’s extensive list of more than 200 ranking factors, it difficult to pick and choose the ones which will give the most beneficial outcome. Moreover, when it comes to SEO, there is no single strategy or approach that can yield the desired results and bring your website at the top of the search engine rankings. In this scenario, the most logical course of action is to select and combine the best SEO practices, both off-page and on-page, and implement them for your website. But what are these off-page and on-page SEO strategies that can boost the visibility and ranking of your website? And more importantly, where do you look for them? The good news is, we have them right here! The infographic below, covers all the crucial steps that make an SEO campaign effective. You can follow these steps as per your requirements and understanding, and improve the SEO of your website, substantially. 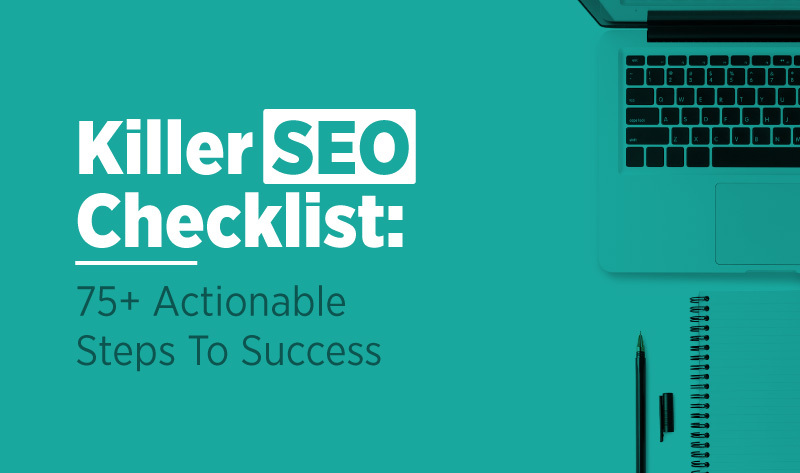 All you need to do is download this SEO checklist and keep it handy while planning the SEO strategies for your website, so that you do not miss out on any vital steps that can affect your website’s ranking. The infographic is extensive, yet simple and easy to understand, so that you encounter minimum trouble while planning and integrating these tried-and-tested SEO strategies for your website.